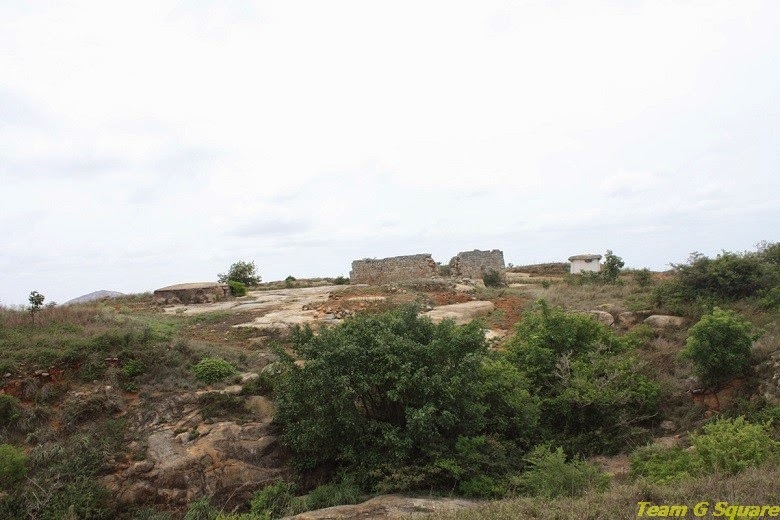 Though we were aware of the presence of two mighty forts between Kaivara and Chintamani, there was always an uncertainty of the sheer existence of these forts as very little or no information was available on the internet. This made us more curious to explore and one Sunday, it was time to do the same. 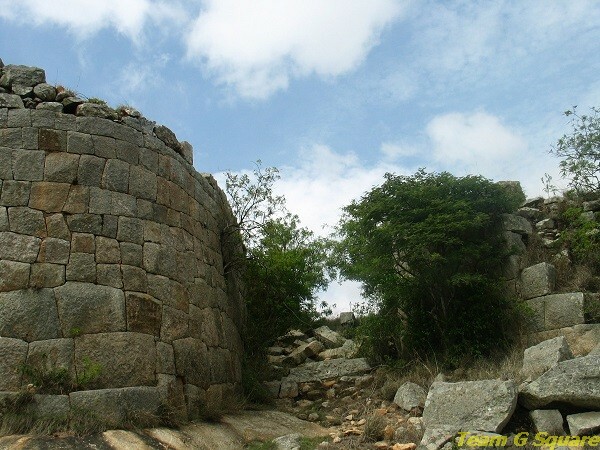 We headed towards Kaivara in search of these forts. Our first stop was a small tiffin centre at the entrance of Kaivara. After having a sumptuous breakfast, we inquired the owner of the hotel about the fort. He had absolutely no idea about any fort around. When we later pointed towards the hill on which the fortification was vaguely visible, he smiled sarcastically saying that the route to the fort was no longer accessible and nobody goes there now-a-days and is completely abandoned. Additionally, he mentioned that we would not make it there. On asking him why he said so, he replied that though there is a route to reach the fort, no one including the locals dares to do that. His concern towards us was understandable. But, we would never give up! 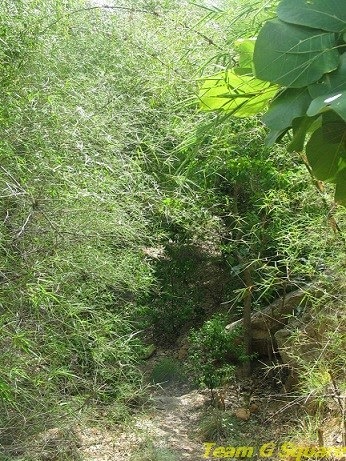 Once we know there was a route, we were determined to trek up and reach the fort. . He then challenged us saying that we will not be able to climb that hill and suppose we did, then he would offer us free lunch in his hotel! This was a real bonus, an exciting adventure plus free meals. It was a challenge to us now to capture the fort! And so we headed quickly towards the hill following his directions. We reached the entrance of a mini-zoo-park maintained by the Karnataka Forest Department. The forest guard there was quite surprised by us when we inquired about the directions to the fort, and advised us not to venture there and if we wished to do so, we could at our own risk. He was not too convinced with our decision to move ahead since the route was not safe and difficult to climb and showed his concern for us. After a brief chat, he agreed and told us to return by 3 pm. We paid the nominal fee for entering the park and proceeded further. From here began our search for the first fort. Fortunately or unfortunately, he gave u no directions while we proceeded as though we knew the route to the fort! We made our own way until we reached a path that looked like a shepherd’s route. The ascent hereon was quite easy and pleasant. Within no time we reached the top of the first hill from where the fort was at a striking distance. We found a way towards the fort and started walking. 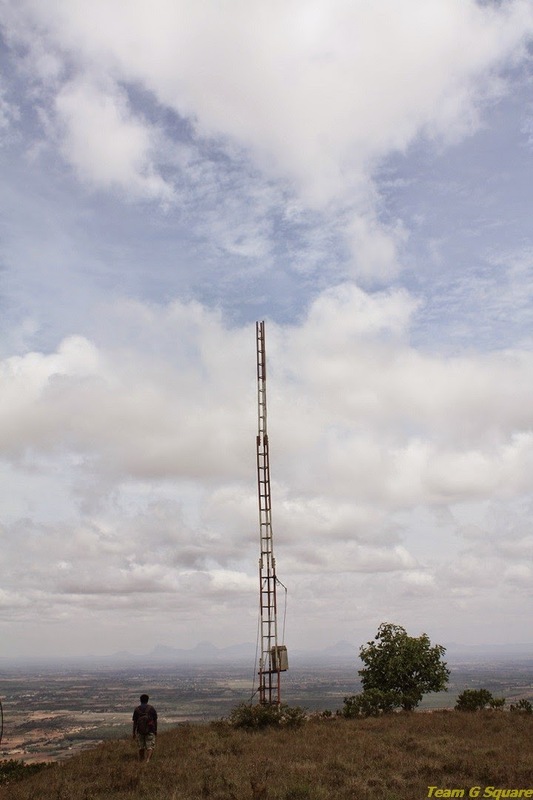 The rest of the climb was simple and plain. 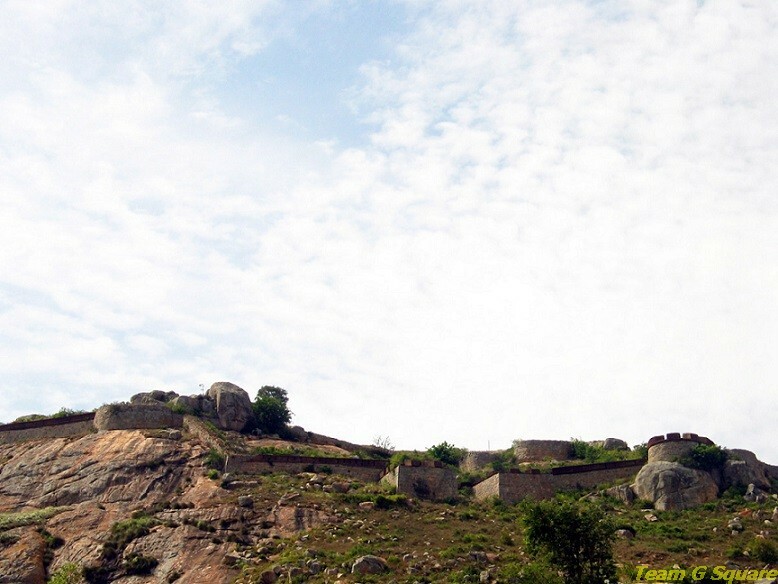 The fort was built by local Palegars and later improved by the Tippu Sultan. 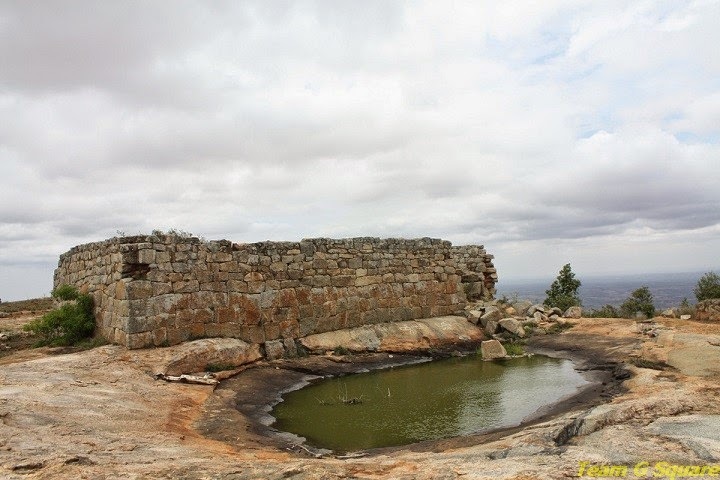 This conspicuous hill fort rises to a height of 4200 feet above sea level. There is a temple dedicated to Lord Veerabhadra Swamy and a small pond of water besides. 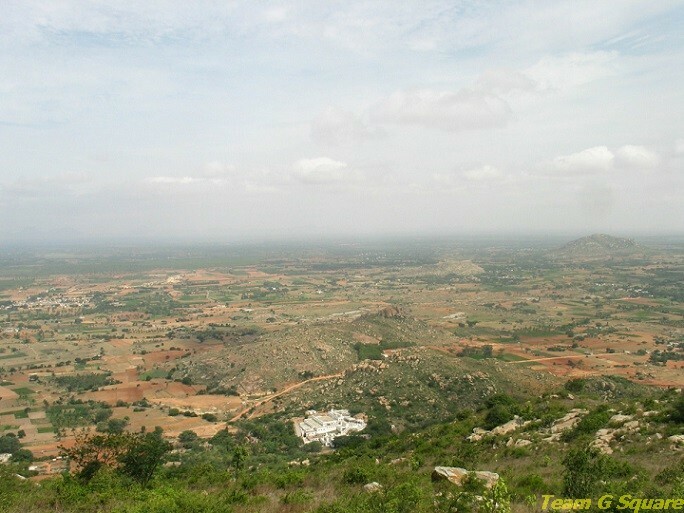 A point on the edge of the hill was served as a place to kill the sinner by Tippu, who dropped them from that high point. 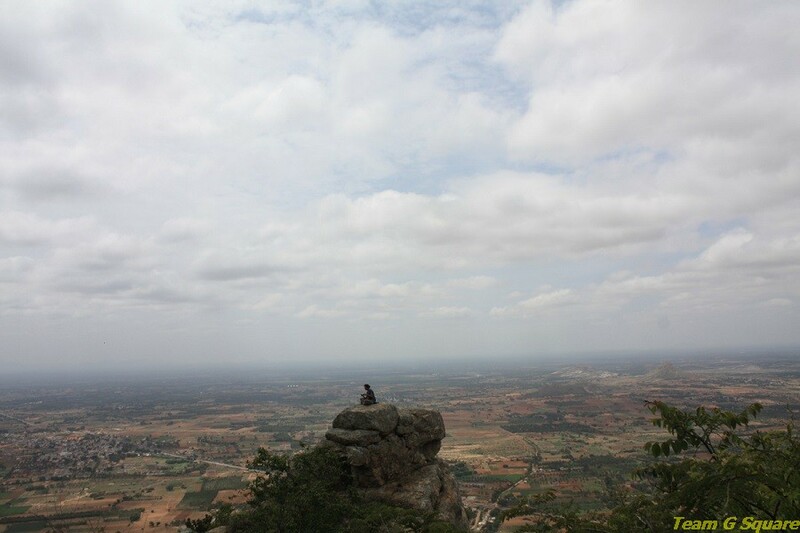 It reminded us of Tippu drop of Nandi Hills. Not many structures remain on the fort apart from a few ruined ones. The strong and lonely fort walls have many stories buried within them. 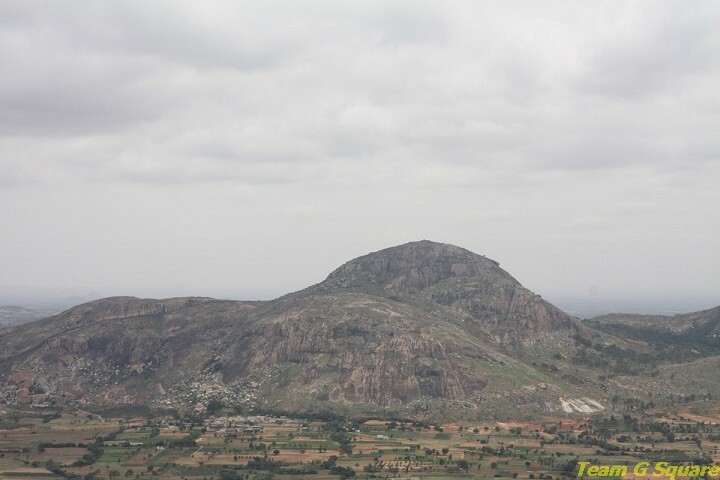 The different views from atop the hill were mesmerizing but for us, the most striking one was that of a hill higher than this with a fort like structure. After resting a while, we started our descent and reached the park that housed a small zoo having nothing more than rabbits, swans and peacocks. Though the premises have been fairly maintained, we felt a little extra care needs to be put in by the concerned. The guard became friendlier once we returned and spoke to us calmly. 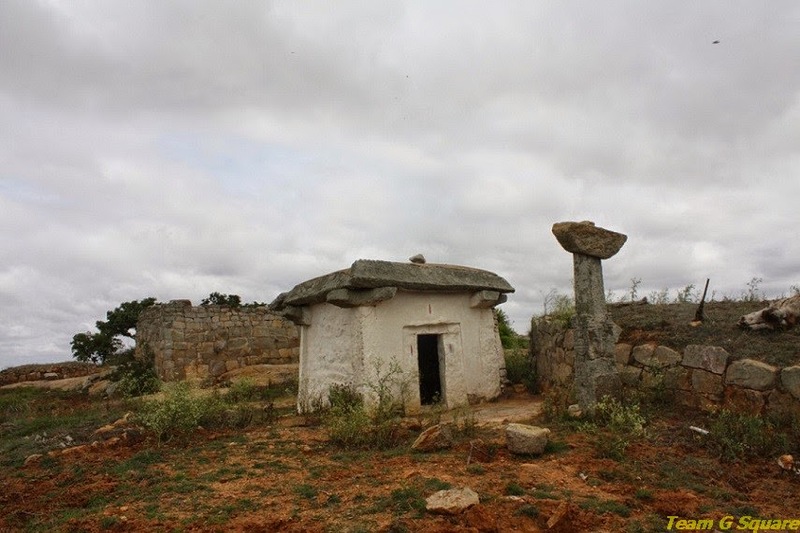 Very surprisingly, he was not aware of the exact name the hill carried and quoted names like Kaivara fort, Anegundi fort, Tippu drop, Permachanahalli fort, etc. We headed directly to the shop situated right opposite to the park and quenched our thirst drinking some refreshing mango juice. The lady at the shop was shocked and said most of the people who get in to climb up the hill return after trekking half way. Now the time had come to redeem our reward of a free meal and reached the hotel. The challenger had a broad smile on his face and was not ready to believe we had actually done it. We had to convince him by showing a few clicks of the fort as proof. Very kindly, he offered us lunch while we thanked him and moved on. How to reach Kaiwara/Kaivara: Bangalore - NH75 - Hoskote - SH 82 - H Cross Continue further till Kaivara cross - Left turn - Kaivara towards Kaivara zoo (Fort is inside this Zoo). 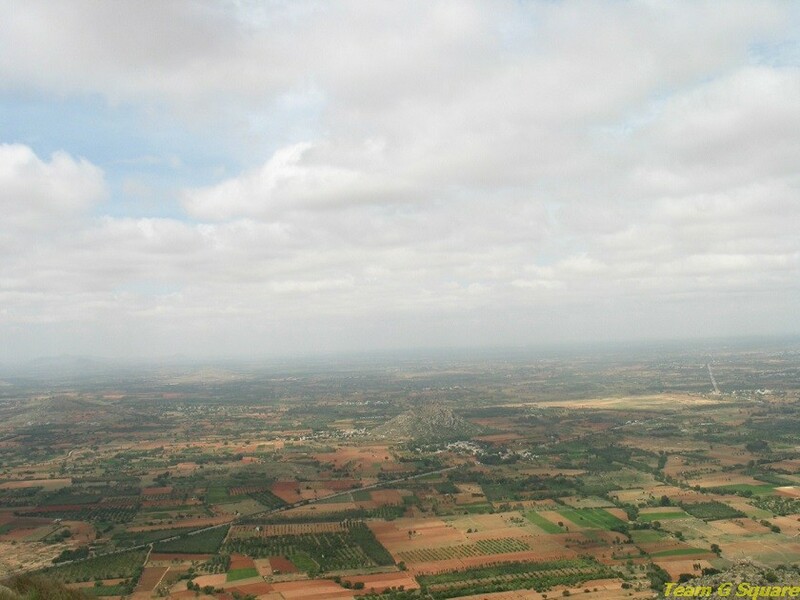 About 70 Km from Bangalore. The hunt for the second fort begins…..
What a beautiful, awesome place!! What a view!! Terrific captures and great information as always! And I always look forward to your posts! Hope your week is going well! Great information on little known forts. Inspiring for others to discover more. Superb captures and wonderful commentary too! Interesting place. Thanks for sharing this. How do you search out such little known forts. Thank you for this informative piece. Great shots! The trek must have been seriously a difficult one, and yet you made it sound so easy! I wonder how you get to know of such structures....love your adventurous streak! Another amazing off-beat find and an equally interesting narrative to go along with it. Wonderful captures, looking forward to the second fort story. Compliments Yaar for yet another find, I have explored this area, but the my explorations are no where as yours! keep it up! You had quite an adventure, found a very interesting fort, and got a free lunch. It sounds as if your day got off to a fascinating start. Really great on your part. Hearing abt this place for the first time, that was quite an adventurous trip.. 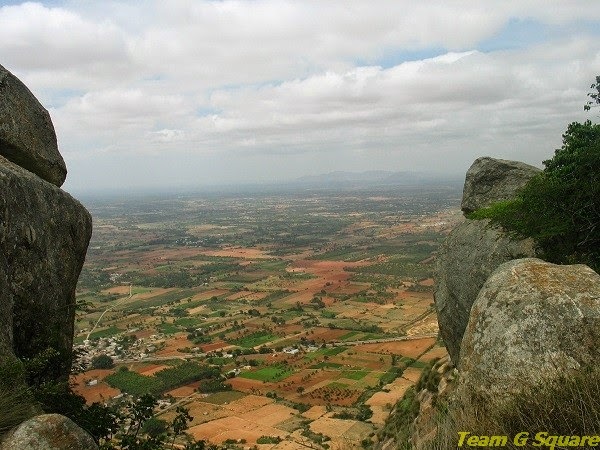 Incredible views and that is amazing fort to see! Great post on another amazing site in your country. And what a gorgeous photo of a lizard on the header! 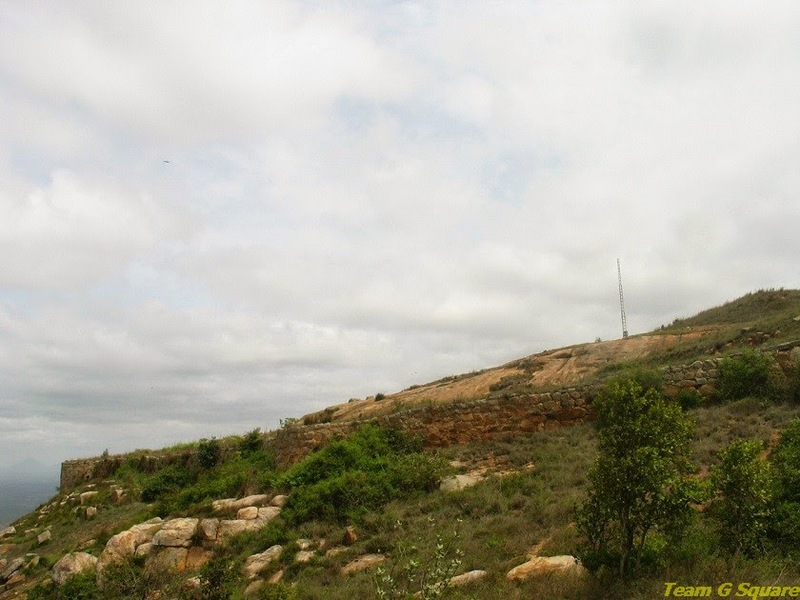 Congrats on re discovering a fogotton fort of Tipu Sultan, we just passed by it, and wanted to attempt an ascent but forest guards refused permission. Maybe for the fear of wild animals. 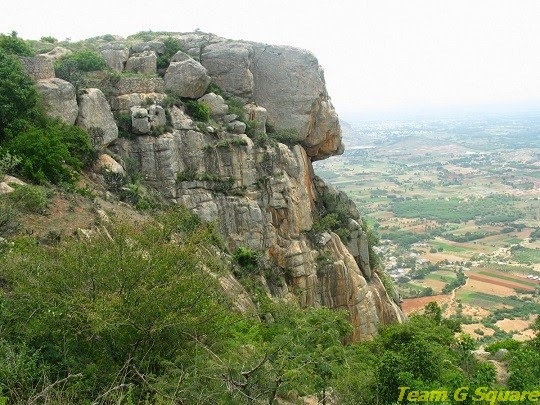 God knows how many forts are hidden in Indian mountains. It was a great discovery and view from the top is amazing. Nice work, Good information about fort. I didn't even know that such a place existed ... thank you for such a lovely post .. Contact me for your next plan..
ShivrajRKR@gmail.com For facebook: shivraj sriank.. There I have been many times. Once there were remains of some kind of religious procession, bamboo palaquin and flowers. Other time there were some flowers and a pit dug up, possibly treasure hunt. It sure is a good getaway but be wary of shady characters. zoo at kaivara at beganing had lot of animales. now forest department is not intrested . and not worth seeing it anymore. Amazing. Loved to read your post. Beautiful pics.